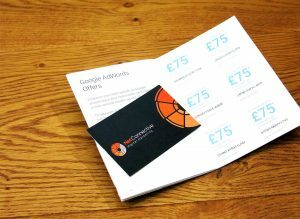 All the abbreviations and specialist terms in Google AdWords can be tricky to get your head around. So you don’t get caught out, here is a simple glossary including common PPC terms you are most likely to come across. Ad Group: A set of ads targeting shared keywords. Ad Position: Where your ad appears on the page (Position 1 = top, position 7 = bottom of 1st page). Ad Rank: A value used to determine ad position, calculated from bid amount, components of Quality Score (see below) and the expected impact of extensions/ad formats, etc. Affiliate Location Extension: Links to nearby stores that sell your product/service. App Extension: Shows a link to your mobile or tablet app below your ad. Bid Adjustments: Using % increase or decrease, these allow you to bid more or less according to certain targeting criteria e.g. location, time, device. Call Extension: Allows you to add buttons with your phone number to your ads, which people can tap or click on to call your business directly. Call-only Ad: These only appear on devices which can make calls. Clicks directly make a call. Call-out Extension: Adds extra information/promotions to your ad e.g. free shipping or 24hr customer service. Campaign: A set of Ad Groups that share a budget, bidding strategy and targeting settings. These are often set up to reflect different products/services or business goals. Conversion Rate: The number of conversions divided by the number of clicks. A useful piece of data to compare which ad, keyword, etc performs best. Conversion Tracking: A Google tool which shows you what happens after a customer clicks e.g. completes a form, buys a product, called your business, etc. Cost/Conv: How much each conversion costs, calculated by dividing total cost of clicks for that campaign, ad grp, keyword by the number of conversions. CPA (Cost per Acquisition): Bids based on how much you are willing to pay for a conversion. Requires conversion tracking to be enabled. Cross-device Conversion: is when a user clicks on your ad on one device then converts on another. CTR (Click Through Rate): The number of clicks divided by the number of impressions. Display URL: Shows your website address including your Final URL and text from the path fields. Dynamic Search Ad: Uses content from your website (all or specific pages) to target your ads to searches. When someone searches, AdWords uses the terms plus your chosen pages to choose a URL and create relevant ad text. Eligible Impressions: Are estimated using various factors including targeting, status, quality, etc. Enhanced CPC (ECPC): Automatically adjusts your manual bids up or down for clicks that seem more or less likely to convert. Requires conversion tracking to be enabled. Extensions: Feature additional information to accompany your ad, appearing below your text. Final URL/Destination URL: The URL address of the web page that people arrive at when they click on your ad. Google Display Network/GDN/“Display Network”: A range of websites on which your Google Ads can appear using different methods of targeting. Impression Share: The percentage of impressions that your ads receive compared to the total number of impressions that available. Impression share = impressions / total eligible impressions. Invalid Clicks: Google’s identification of illegitimate clicks including unintentional clicks, clicks from bots, etc. Keywords: Words or phrases which describe your product/service. These determine where and when your ads will appear. Landing Page: The web page people arrive at when they click on your ad. Location Extension: Shows your address with your ad, this can include a map to your location or the distance to your business which can also link to your location page. Manual CPC (Cost per Click): Lets you set your own maximum cost per click (CPC) for your ads giving you control over how much you pay for a click. Match Types: Control how broad or narrow you want the audience for your ads. Types include broad, exact & phrase match. Message Extension: Allows people to click on your ad and contact you directly by text message, for example to book an appointment or request a service. Negative Keywords: Terms that you want to exclude from your campaigns. These can be words that are commonly associated with your keywords but not relevant to your campaign. E.g. you offer fencing classes (sport) so may want to exclude “garden”, “wooden”, etc. Path: Gives a better understanding of where on your site the click will take them to. E.g. www.example.com/kitchen_utensils/forks. Price Extension: Shows as a list below the main ad copy, offering advertisers the opportunity to show pricing information for multiple products and services. Quality Score: Estimates the quality of your ad based on expected click-through-rate, ad relevance & landing page experience. Review Extension: Allows you to include a quoted or paraphrased review. Note you must include the source. 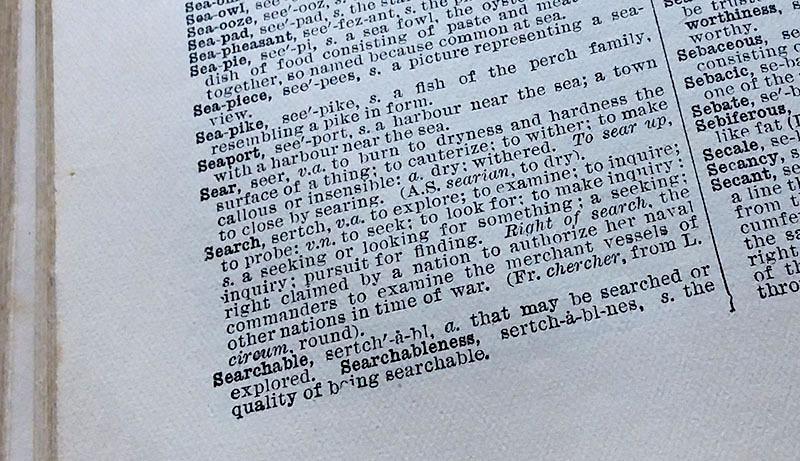 Search Network: A group of search related websites where your ads can appear based on keywords chosen by you and used by the ‘searcher’. SEO (Search Engine Optimisation): Activity attempting to improve search engine rankings in organic/unpaid results. Sitelink Extension: A link to other pages on your website for example other related products, opening hours, etc. Structured Snippet Extension: Show beneath your text ad and include a header and list of values (e.g. Books: children’s, fiction, non-fiction). Target ROAS (Return on Ad Spend): Allows you to bid based on a target return on ad spend (ROAS). Bids are automatically optimized at auction-time, so you can tailor bids for each auction. Text Ads: The simplest online ads that Google Adwords offers. They are made up of two headlines (30 characters each), a description (80 characters) and a display URL. Universal App Campaign: Automatically designs ads based on text ideas plus image and/or video assets that you provide. They can appear on all Google properties (Search Network, Display Network, Play, YouTube). View Through Conversions: When customers see your ad (but don’t click), then later complete a conversion on your site. Want to discuss this post? 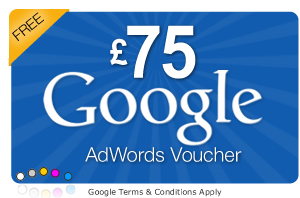 Download one of our Google AdWords voucher codes worth up to £75 of free spend. Posted in Articles, Guides and tagged adwords, google, ppc.